Born at Altenburg, Thuringia, in what was then East Germany, on 15th November 1968, Rosler started from an early age with BSG Traktor Starkenberg where he stayed until 1981. He then joined FC Lokomotive Leipzig, where he played the rest of his junior years, and he remained for seven further year before moving to BSG Chemie Leipzig for the 1988-1989 season. His next move was to FC Magdeburg in the DDR-Oberliga, for the 1989-90 season, in which they finished third. He stayed with them in the 1990-1991 season, when they finished tenth out of fourteen teams in the Oberliga NOFV in the final year of the DDR before they joined the Bundesliga. He scored twenty-two goals in sixty-two games for them in the two seasons. He had progressed through the East Germany Under-Twenty-One team and scored once in six appearances for them. In the 1989-90 season he made his debut for the East Germany full International team on 26th January 1990 in a 2-1 win over Kuwait at the Kazma Stadium when he replaced Ulf Kirsten after sixty-five minutes. His second cap was also as a replacement for Ulf Kirsten, this time in the seventieth minute as East Germany defeated USA at the Weltjungend Stadium East Berlin on 28th March 1990 before he made his starting debut when receiving his third cap on 11th April 1990 in a 2-0 win over Egypt at the Ernst Thalmann Stadium in Karl-Marx-Stadt. His fourth cap soon followed on 13th May 1990 in the Maracana, Rio de Janeiro in a creditable 3-3 draw with Brazil,in which he came on as a seventy-seventh minute substitute for Uwe Weidemann, before his fifth and final cap came in a 2-0 win over Belgium on 12th September 1990 at the Heysel Stadium in Brussels. He left Magdeburg halfway through the season and signed for Bundesliga team, Dynamo Dresden, for �8,000 but remained only until the end of the 1991-92 season, in which he scored four goals in thirty-three appearances as Dresden finished fourteenth of twenty teams. His next move, at the start of the 1992-93 season, took him to FC Nurnberg for �0,000, where he failed to score in twenty-eight appearances as the club finished thirteenth of eighteen teams in the Bundesliga. He returned to Dynamo Dresden for an undisclosed fee at the start of the 1993-94 season and he had played seven games without scoring before he sustained a knee injury. He was loaned to Manchester City on trial and he scored twice for them against Burnley in a midweek reserve match and was rushed into the City Premier League team at Loftus Road in a 1-1 draw on 5th March 1994. City paid a bargain �0,000 to secure his services and he quickly became a fan favourite at Maine Road. He scored his first EPL goal on 29th March 1994 in the sixty-second minute of a 2-2 draw at Portman Road with Ipswich Town, and went on to net five times in twelve games in his first season. He blossomed in his second season as he became the club's leading goalscorer with fifteen League goals in twenty-nine starts and two from the bench. He was again the leading scorer twelve League goals from thirty-eight starts and two as a substitute in the 1995-96 season. In the 1996-97 season he had issues with manager Alan Ball and this affected his form and he hardly scored in the first twenty games, but once Frank Clarke took over his scoring touch returned and he scored seven times in six games. It proved to be his farewell season at Maine Road and he played his last game at Middlesbrough on 17th April 1998 and in his four year stay he had scored fifty goals in one hundred and forty-three starts and eleven games as a substitute in the League as well as ten goals in fifteen starts in the F.A. Cup and five goals in eleven starts and one game from the bench in the League Cup. He was given a free transfer and joined Bundesliga side FC Kaiserslautern. He scored eight goals in twenty-eight League games and hit a hat-trick for them in a UEFA Champions League tie. It took place on 9th December 1998 when he came on as a substitute against HJK Helsinki and scored a second half hat-trick as Kaiserslautern won 5� This helped them to win their group in the 1998� UEFA Champions League, before going out in the quarter-finals to Bayern Munich. He made six appearances in the competition and helped them to fifth place in the Bundesliga and also scored once in two Pokal Cup games and made one appearance in the Ligapokal. He joined second tier Bundesliga side Tennis Borussia Berlin for �5,000 and was immediately installed as Club Captain. In the 1999-2000 season he scored six times in twenty-six League games and three times in two Pokal Cup games. After Tennis Borussia went into bankruptcy, Rosler chose to return to English football and signed for Southampton of the EPL on 5th July 2000 on a free transfer. He was now in the twilight of his career and struggled to find the net for the South Coast team. He failed to score in six starts and fourteen games from the bench in his return to the EPL in the 2000-2001 season and the following season he struggled to make the team and was loaned to First Division side West Bromwich Albion for a month from 30th October 2001 and scored once in five starts. He left the Saints in January 2002, having failed to score in nine starts and fifteen games from the bench in the EPL and in two games from the bench in the F.A. Cup, but he did score once in one start and two games from the bench in the League Cup. He joined German second tier side SpVgg Unterhaching on a free transfer, and they went on to win promotion as Division One runners-up at the end of the 2001� season, with Rosler scoring five times in fourteen games. In July 2002, Rosler signed for Norwegian club Lillestr鴐. He played scored ten goals in eleven Tippeligaen matches and also played twice without scoring in European games. but after scoring in the first game of the 2003 season for Lillestrom in a 1-0 win over Bodo Glimt, Rosler was diagnosed with cancer when x-rays discovered a tumour in his chest. It was the end of his playing career. Fortunately, after chemotherapy, he made a full recovery. While in remission he obtained his coaching badges, to enable him to continue working in football. He returned to Lillestrom and became Manager in 2005. He took the club to two successive fourth-place finishes in the league, and to the final of the Norwegian Cup in 2005 and the Royal League final in 2006, although they suffred defeat in both. Unfortunately, these results failed to satisfy the Lillestrom board, and on 13th November 2006 he was sacked from his position along with assistant coach Gunnar Halle. After Tom Nordlie had been installed in Rosler's place at Lillestrom, Rosler took over his former position with Viking on 22nd November 2006. He remained with the club until 18th November 2009, having led Viking to third place in 2007. He was admitted to the Manchester City "Hall of Fame" in December 2009. He joined Norwegian side, Molde, on a short term contract on 31st August 2010. Under his guidance the club avoided relegation as the club remained undefeated in the eight fixtures that Rosler was in charge. He was replaced by Ole Gunnar Solskjaer in November 2010 as the club got ready for the start of the 2011 season. 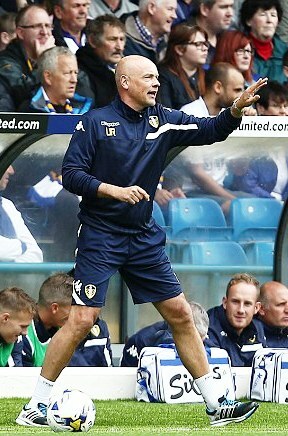 It was in November 2010, that Rosler expressed his desire to return to the Premiership as a manager. In June 2011 he was appointed manager of Brentford on an initial two-year contract. Roled the club to a successful first season in which they finished in ninth place with sixty-seven points. It was the club's highest league finish in six years. The second season saw Brentford come within minutes of securing promotion from League One to the Championship. In the final game of the season, on 27 April 2013, they faced second placed Doncaster Rovers at Griffin Park. Brentford, in third place, required a win to see them promoted. In the dramatic final minute of added time, with the game poised at 0� Brentford won a penalty. On-loan striker Marcello Trotta insisted on taking the penalty rather than captain, Kevin O'Connor. He hit the crossbar. Doncaster counter-attacked from the rebound and James Coppinger scored the goal which guaranteed Doncaster's promotion as well as the league title. Brentford entered the play-offs, where they were drawn in the semi- final against Swindon Town. They defeated Swindon in an almost equally dramatic manner, eventually succeeding via a penalty shoot-out after a 4�aggregate scoreline. However promotion was denied to Brentford as they were beaten 2�in the play-off final by Yeovil Town at Wembley Stadium, after a poor first-half performance. After the disappointment of the 2012� season, Rosler overhauled of his squad and finally gained promotion to the Championship. R鰏ler left the position of Brentford manager on 7th December 2013, having led a revival in the team's fortunes, winning seven of his final eight games. Under the stewardship of former Sporting Director, Mark Warburton, the Bees achieved automatic promotion to the Championship on 18th April 2014. On Rosler was appointed as the new manager of Championship side Wigan Athletic, on 7th December 2013, taking over from Owen Coyle. His first game in charge saw his new club lose 1-2 loss against NK Maribor in the UEFA Europa League, on 12th December 2013. In March 2014, Rosler returned to Manchester City and led Wigan Athletic to a shock 2�victory over his old club at the City of Manchester Stadium in the quarter-final of the FA Cup. However, his team lost in the semi-finals to Arsenal at Wembley Stadium, 4�on penalties after a 1�draw. They also finished fifth in the Championship, thereby qualifying for the play-offs, but lost in the semi-final to eventual winners Queens Park Rangers. Wigan were amongst the early favourites for promotion during the 2014� season, but on 13th November 2014, Rosler was sacked by Wigan Athletic after the club fell into the relegation zone. Wigan Chairman Dave Whelan revealed that it was a "harsh decison" to sack him after guiding Wigan to the Championship play-off semi-finals and FA Cup semi-finals months earlier. He was replaced as Wigan Athletic manager by Malky Mackay and then Gary Caldwell as the season ended with relegation. On 20th May 2015, he was appointed as the head coach of Championship side Leeds United on a two-year deal. He had rejected a job offer from 1860 Munchen in February 2015 in the hope of landing another job in England. He was joined at Leeds by assistant head coach Rob Kelly, goalkeeper coach Richard Hartis and first team coach Julian Darby. After a good pre-season which saw United draw 1-1 at York City, then twice lose 1-2 on tour in Germany against quality opposition in Eintracht Frankfurt and Hoffenheim before a fine 2-0 win over Everton at Elland Road. Rosler's first League game in charge, on 8th August 2015, saw Leeds draw 1-1 at home to Burnley with a goal from Mirco Antenucci. This was followed by a series of close scoring matches. A 1-1 draw in the League Cup at Doncaster Rovers, came to a sad end as the home side prevailed in the penalty shoot-out to End United's interest in that competition. This was followed by three draws in the League. 0-0 at Reading and 2-2 at Bristol City and 1-1 at home to Sheffield Wednesday, before the unbeaten run continued with a 2-1 win at Derby County and a 1-1 home draw with Brentford. It was broken the following week when Ipswich Town got the only goal of the game at Elland Road. Then next two away fixtures saw a 2-1 win at MK Dons and a 0-3 defeat at Middlesbrough and it meant that nine games had yielded only eleven points which saw them in fifteenth position. Unfortunately, there was then successive home defeats. 0-2 by Birmingham City and 1-2 by Brighton and Hove Albion on 17th October 2015. After eleven games the club were in eighteenth position with eleven points and just three points above bottom club Bolton Wanderers and had failed to win any of their six home encounters. With the newspapers calling for Cellino's departure, there was only ever one outcome likely, and he wielded his sword to Rosler's detriment. He was then out of a job until 30th July 2016, when he became Manager of newly promoted Division One, Fleetwood Town, where he tasted immediate success by almost taking them to another promotion in his first season, when they made the play-off semi-finals. Inevitably Fleetwood struggled to maintain their meteoric rise as they languished in twentieth place in League One and he was shown the door on 22nd February 2018, when his record was played one hundred and three, won forty-three, drawn twenty-six and lost thirty-four. Once more he was out of the game for a long spell before being appointed Manager of Swedish team Malmo on 12th June 2018. After sixteen games he remains undefeated, with eleven wins and five draws.